The Ohio Public Transit Association and its transit agency members will be promoting a statewide initiative to celebrate transit in Ohio the week of February 11-15, 2019. During this week, participating transit agencies will be highlighting the way public transit moves communities forward and to promote the need of funding and support for transit in their communities. 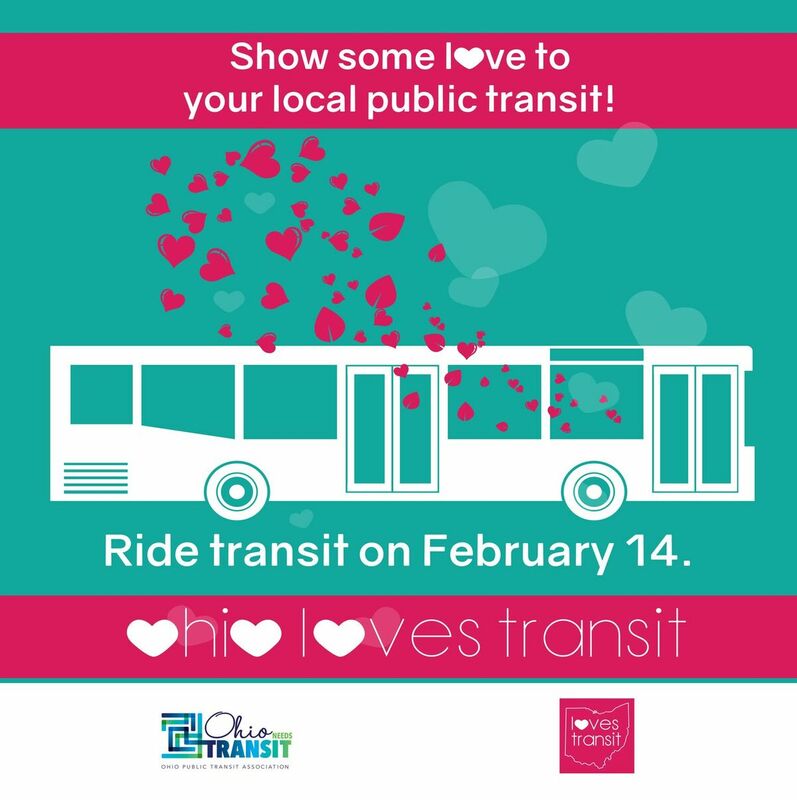 Ohio Loves Transit week will include activities with transit customers all week, peaking on Valentine’s Day, Thursday, Feb. 14, with the second annual “Ohio Loves Transit Day” celebration. On that day, OPTA agencies from across the state – Columbus, to Lancaster, Akron to Cincinnati – will ask riders to share why they support public transit, and why our state and federal leaders should, too. Ohio’s public transportation systems are striving to meet the daily mobility needs of Ohio’s growing senior population, along with keeping up with the capital need to move workers, students, and those without access to their own vehicles. Public transportation in Ohio comes in many shapes and forms, from rail and streetcars, to buses, vans, and bikes. Transit drives Ohio’s economy, with national statistics showing that every $1 invested in public transit generates $4 in economic return. Whether it’s getting to area shopping centers, local airports, libraries, parks, bike trails, or countless other leisure time destinations – Ohio transit can get you there. Ohio’s transit systems also provide a vital link to thousands of people with disabilities, by providing rides to work, job training programs, medical appointments and adult day care facilities. With the “baby boomer” generation aging, the needs for these services has grown, and both urban and rural transit agencies alike are working to ensure all citizens have the access to the transportation services they need to remain an active part of their community. 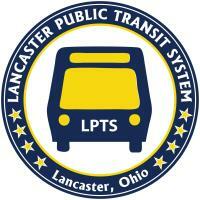 OPTA is the primary advocate for public transportation in Ohio. Now nearly 400 members strong from 61 transit agencies across the state, the association provides leadership, resources, training, support, technical assistance, media outreach, public engagement, and governmental relations services to public and private transit agencies. For more information visit the OPTA website at www.ohioneedstransit.org.